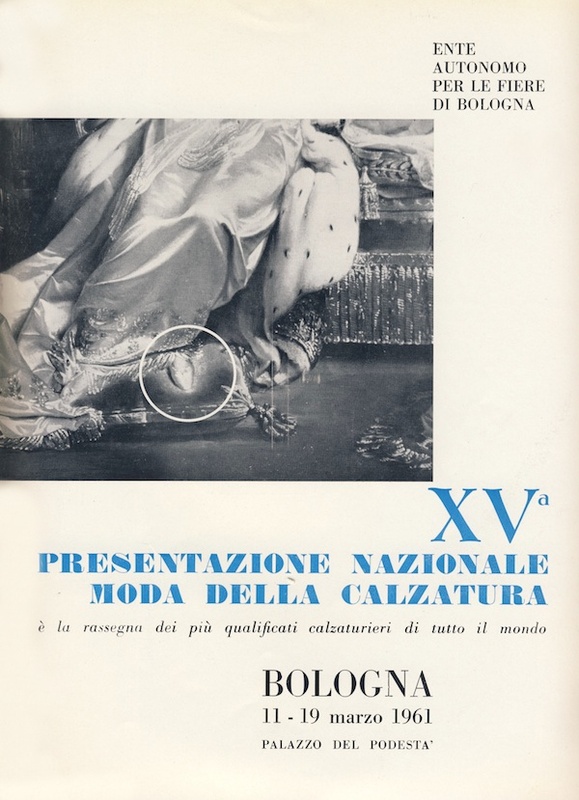 The 15th Bologna Footwear Fair was opened by undersecretary Giovanni Elkan and showcased more than 200 exhibitors and 10,000 models. 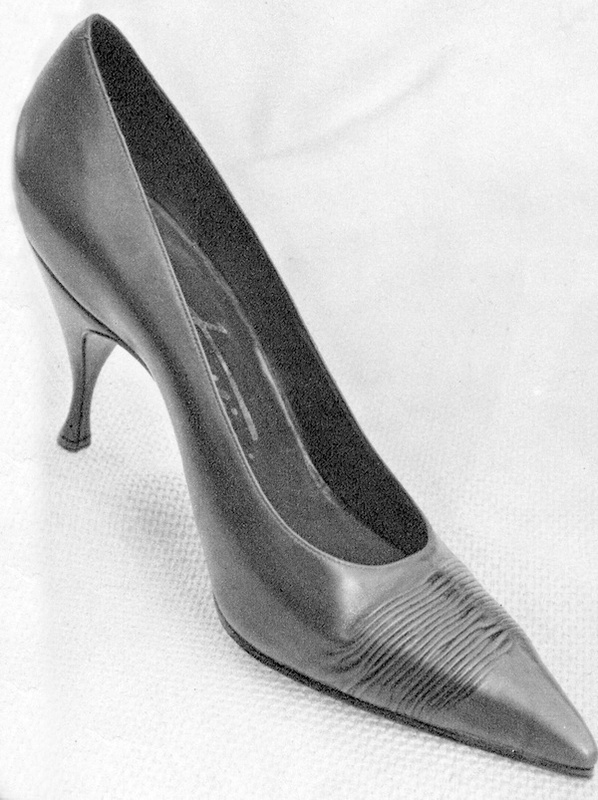 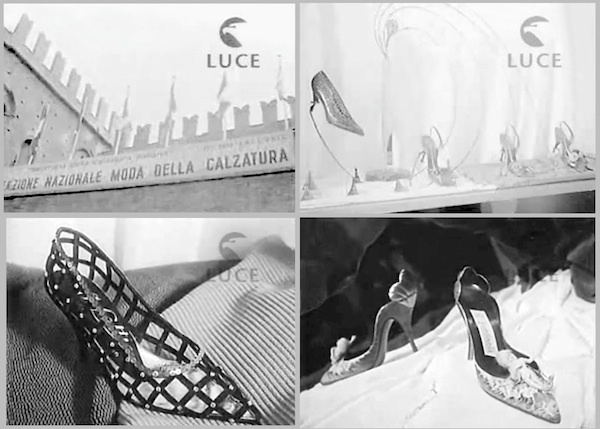 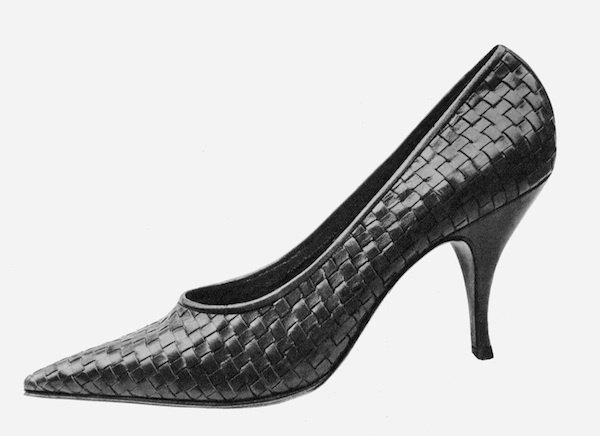 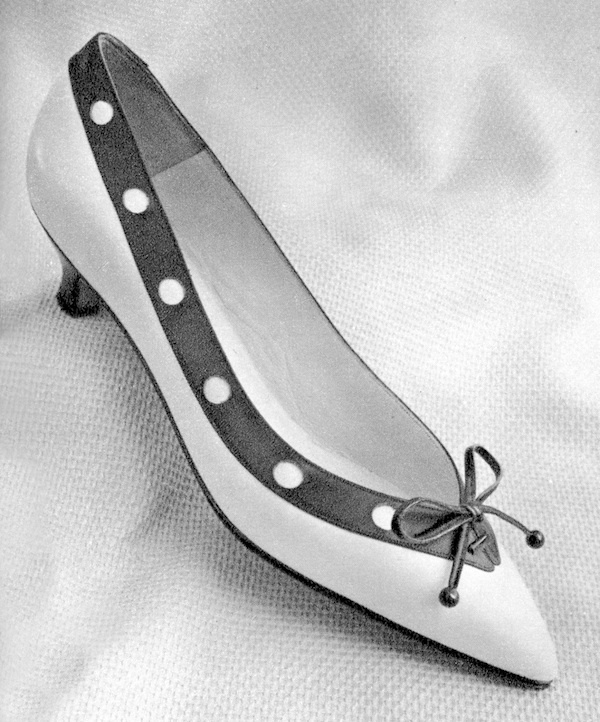 The grand opening was featured by newsreel "La Settimana Incom" which highlighted more beautiful shoes and duly noted the battle triggered by some German manufacturers against the Italian spike heels considered to be the primary cause of hernia and cardiovascular diseases. 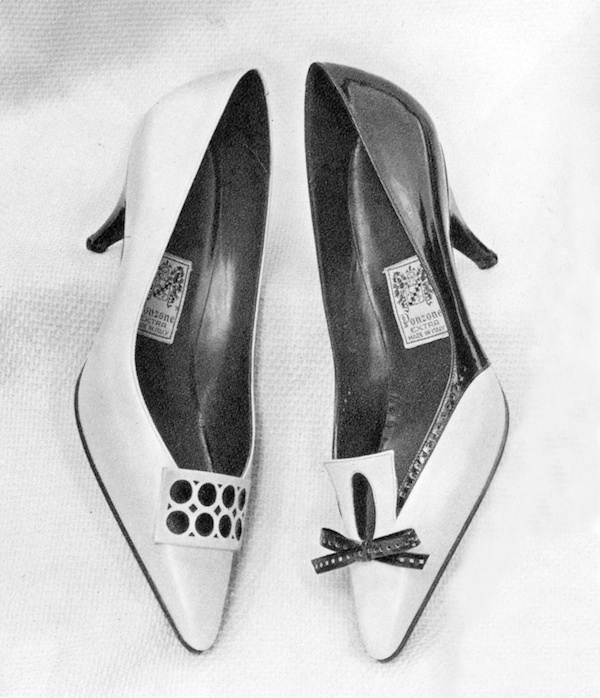 On a more serious note, the newsreel also featured the first known copy (a.k.a. 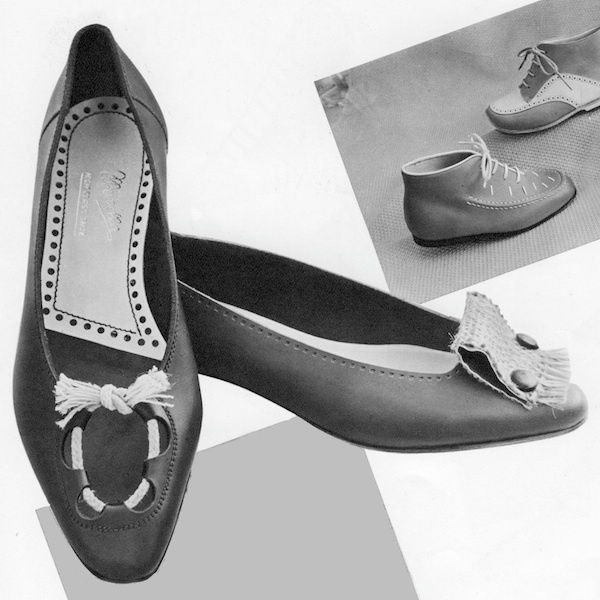 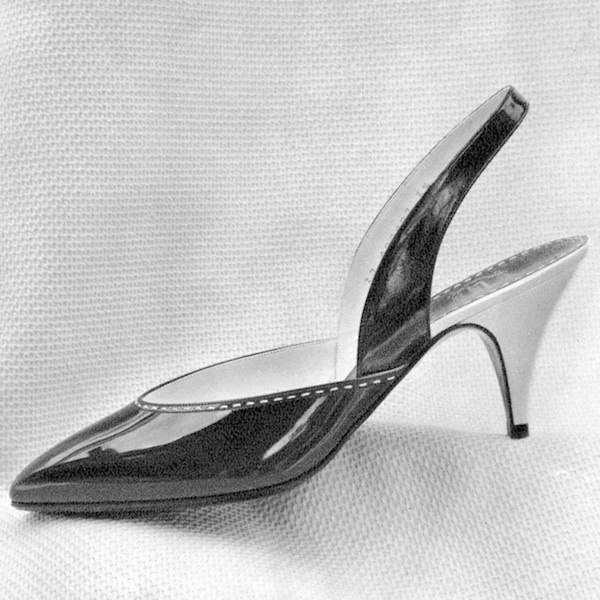 homage) of the most beautiful heel ever designed, ten years after the fact (here below). 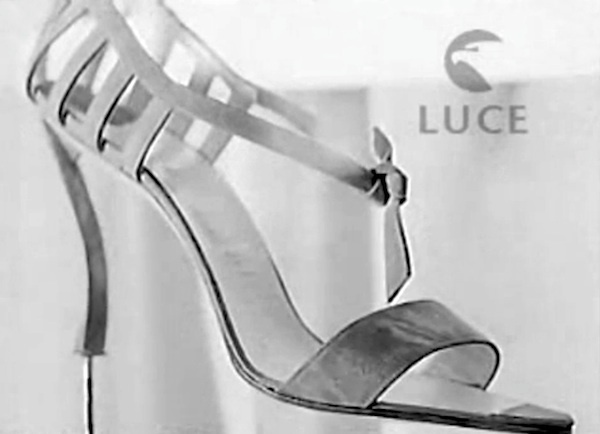 Unknown maker | Still frame from "La Settimana Incom"
Still frames from "La Settimana Incom"